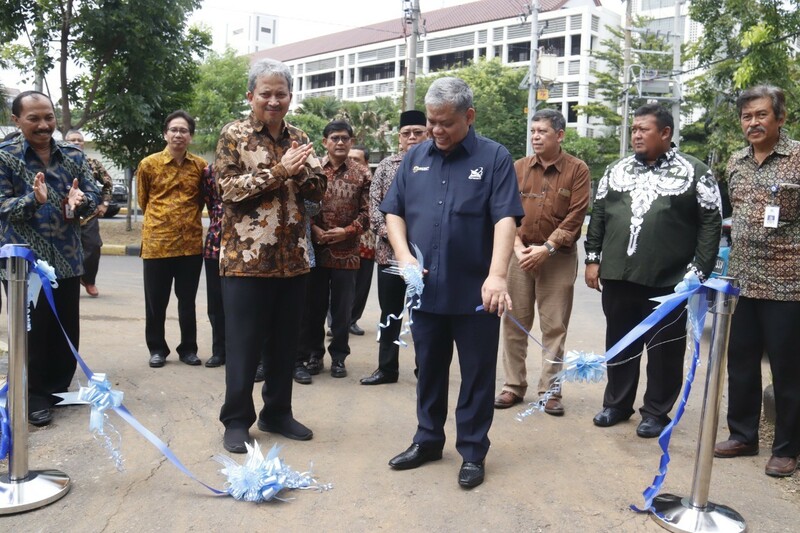 ITS Campus, ITS News – Institut Teknologi Sepuluh Nopember (ITS) Surabaya takes a more serious step in becoming a Research University. It shows in the inauguration of ITS Science Techno Park (STP) and ITS Incubator facilities. This inauguration also marked the operation readiness of ITS Science Techno Park in supporting research and innovation, mainly to create a bridge between higher education institution research and Industrial world. 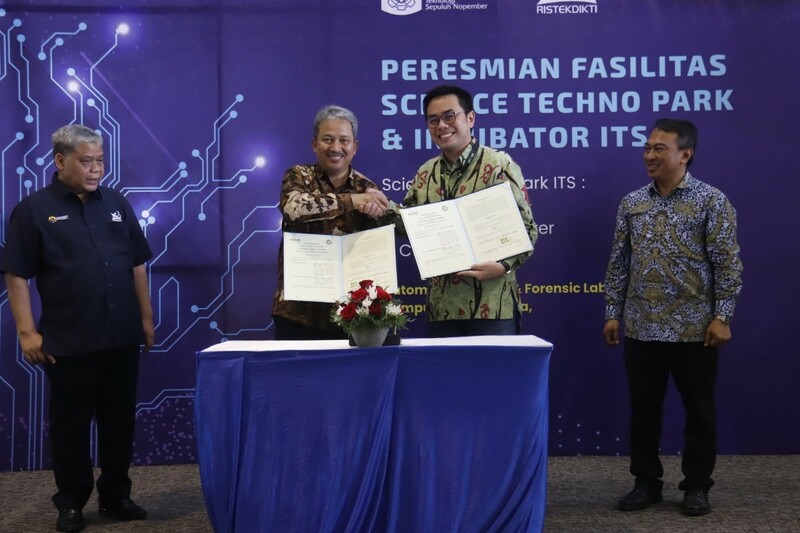 As known, ITS STP initiation started in 2016 with the help of The Ministry of Research, Technology, & Higher Education (known as Kemenristekdikti). During that moment, ITS had created the masterplan of STP that included three study center from seven study field in ITS. those study center are Maritime Center, Creative Center, and Automotive Center. 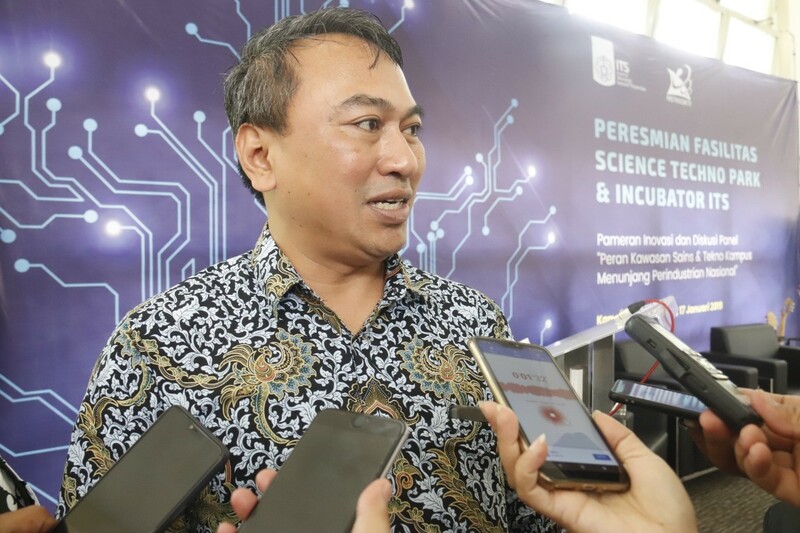 According to Vice Chancellor of Innovation, Cooperation, Alumni and International Affairs, Prof Dr Ketut Buda Artana ST MSc, start from the construction of STP, researches that are undergo by ITS will be developed in form of technology-based company. In hope to create an innovation ecosystem with academic involvement, start-up company, government, and community. 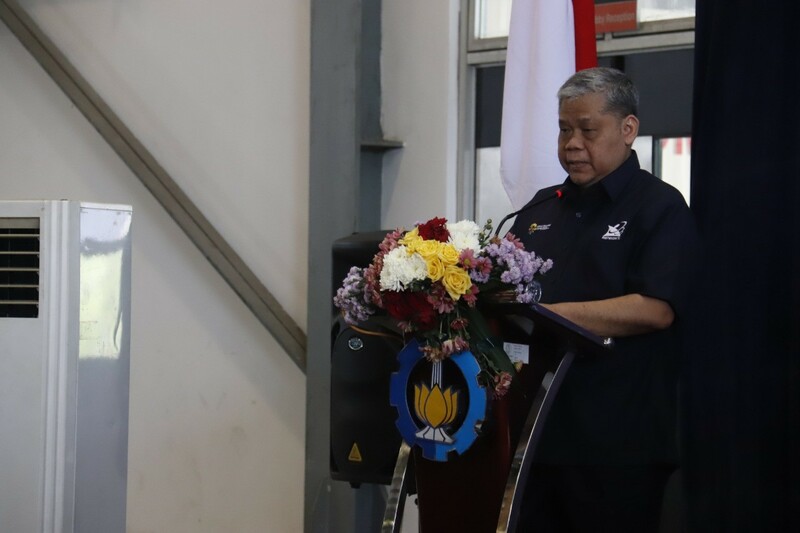 “Although there was insufficient infrastructure during that time, ITS has proven to able to produce 124 innovative products from students and lectures researches in a year,” said this lecturer of ITS Marine Engineering. Meanwhile, General Director of Institutional and Higher Education Science Technology (Kelembagaan Iptek Dikti), Dr Ir Patdono Suwignjo MEng Sc PhD explain that ITS is capable to build STP seeing the innovations that had been created from the existed researched in ITS. Moreover, when ITS already become a Perguruan Tinggi Negeri Berbadan Hukum (PTN-BH) where ITS demanded to be independent. Patdono stated that the output from STP will be in form of start-up company with good economic development. “The start-up company label is given to the company whose producing and marketing researches that already turned into prototype,” explained this lecturer of ITS Industrial Engineering. Furthermore, Patdono explains that STP is not only become a bridge to pure innovation based on research but also to product development that already existed and modificated. 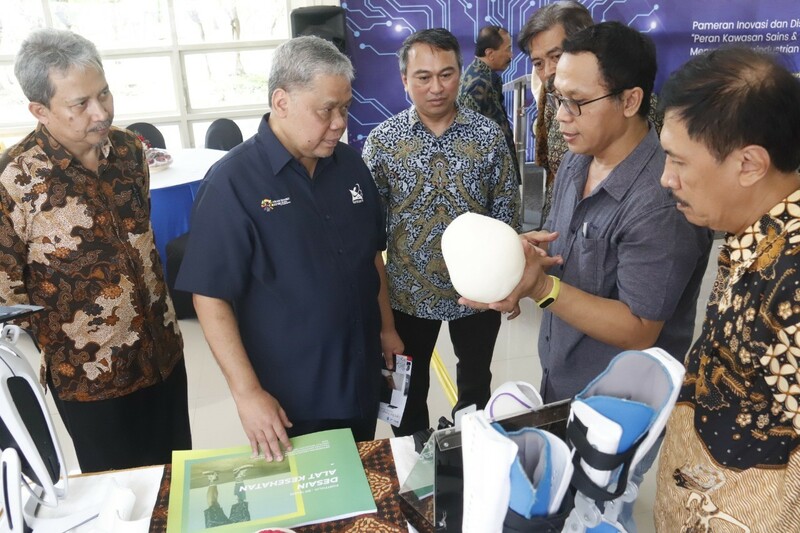 “For example, there is a product that has been marketed in other country already but we have another improvement, then that product still suitable to be incubated in this STP,” he said. 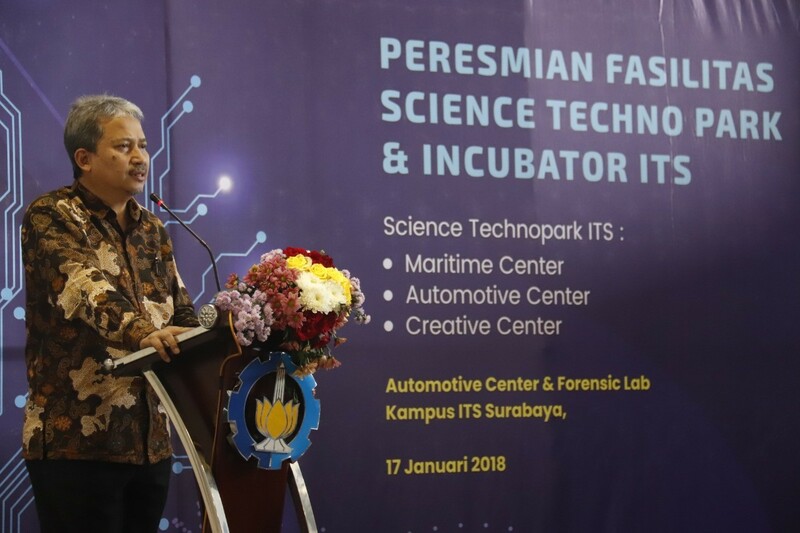 In the same moment, ITS Chancellor Prof Ir Joni Hermana MSc ES PhD also stated, with innovations accommodation through this STP, in the future ITS hope to be able to develop another start-up besides creative industry, maritime, or automotive. “ITS will always explore another prospective field that is decent to be promoted by STP,” he stated. He also underlined the challenges that will be faced by ITS in the future not only the number of product innovation that had been created but also how many of those products that able to enter world market and able to be further cooperated with industry. “This also remembering the large number of product oriented final project, thesis, and dissertation from lectures and ITS students that not yet commercialized,” stated this professor of ITS Environmental Engineering.